Cars.tt is the leading importer of vehicles in Trinidad and Tobago. 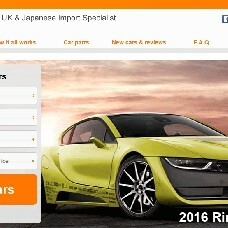 All vehicles come from United Kingdom and Japan. All vehicles are MOT (UK Ministry of Transport) tested, certified and approved. This means you will receive a certificate showing that your vehicle has undergone a detailed testing and inspection, independently conducted by the UK government’s Driver and Vehicle Standards Agency (DVSA). All vehicles come AutoCheck certified, which is conducted independently by Experian (the UK’s largest, and premier risk assessment and analysis agency). This ensures that your vehicle had not been stolen, is an insurance write-off, and has outstanding finance or mileage anomalies, to name but a few checks.